Very unoriginal is my blogpost title! Back from my travels, the garden is now in full swing. I hear it's a particularly good year for roses. This wild one in our garden is really showing off with it's vivid shade of pink! This concoction will steep for 24 hours and I will bottle it tomorrow. The elderflower is so fragrant! And lastly, I decided to give this edging a try because I found it looked unusual. 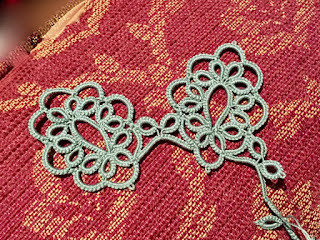 It's from my Tatting from Burda book - the same one where the large butterfly doily is to be found. It just caught my eye. It's not easy to tat though and the explanations on the pattern are not very good. There is some tension and I wonder whether I tat more tightly than the person who designed it because I feel I could benefit from an extra stitch here and there but I'm keeping to the pattern and see if it turns out good in the end. There will be two more rounds. Burda patterns are not always easy to follow, but worth persisting with because the results are wonderful. This does look an unusual and interesting edging, I like the oval look. I look forward to seeing more. 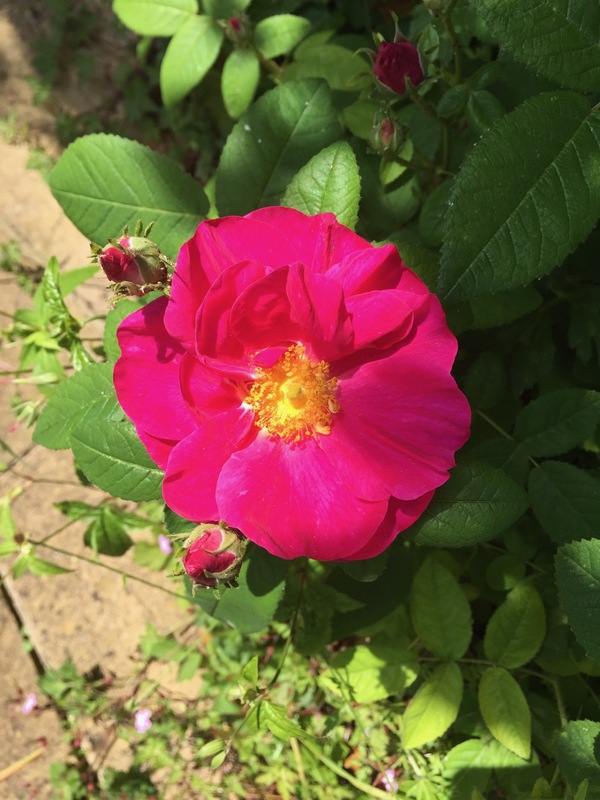 Our roses have been blooming beautifully, also! I do need to get out and prune the bushes to get rid of the dead sections. 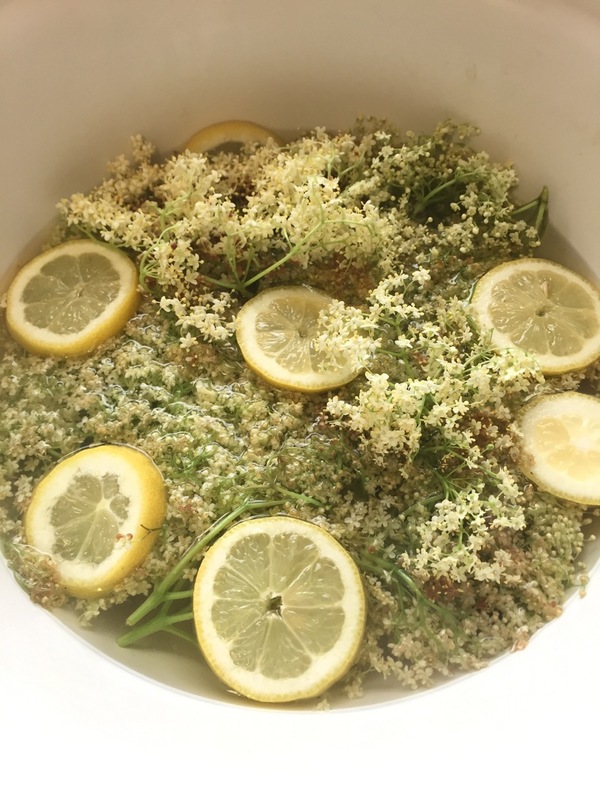 I'll have to look up elderflower cordial. I'm not familiar with it. I have the Burda book, but I've never attempted the patterns. I've only looked at the beautiful pictures! I didn't know it was called cordial. We make it here too, but sweeten it with raisins instead of sugar. The raisins also make it slightly bubbly. The edging looks interesting, I'm curious to see how it turns out. 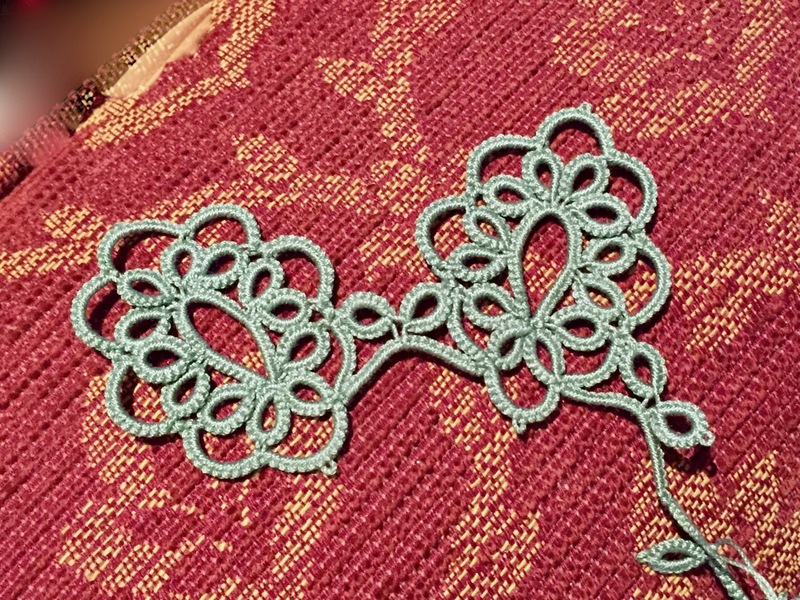 Beautiful pictures and I do recognize this tatting and your always tatting so beautifully! Welcone home from your travels, this is a late comment as we have just returned from a week away.